Blinds.com knows that the perfect fit for a beautiful new window treatment all starts with an accurate measurement. If you’re planning a DIY window treatment project, our How to Measure for Plantation Shutters guide makes measuring easy! You can also call our Customer Experience Center for an immediate quote once you have your measurements. 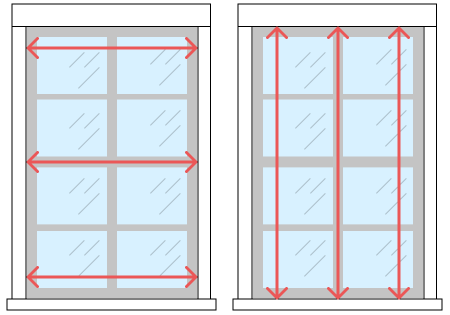 Measure the height of your window opening in three places: left, center, and right. 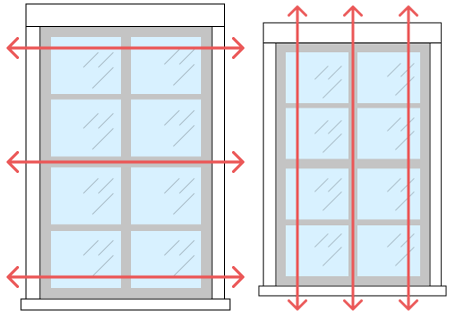 Circle the shortest measurement – this is the number you submit for your window’s height.